There is no better promoter and encourager of “rock and roll music” in South Dakota than David J. Law. From his playing and singing with the Harvey Wallbanger Band in the ‘70s to sitting behind the microphone at KXLG, David loves music. He and his wife, Sandy attend as many concerts as possible. Thanks for you devotion to rock and roll music Dave! The South Dakota Rock and Roll Music Association inducted David in 2012 for the Lifetime Achievement Award. 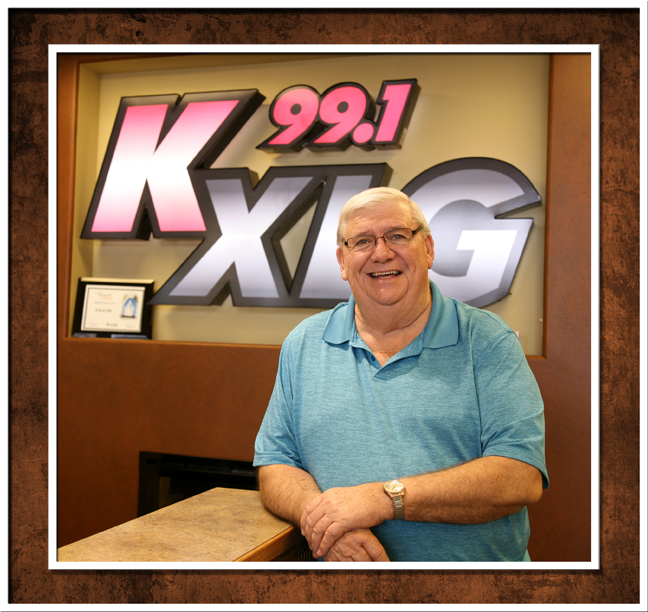 He has helped promote and support the SDRRMA through the KXLG radio station for many years and it is well appreciated. Dave is a lifelong resident of South Dakota who grew up in the small bordertown community of Gary. He is a 1966 graduate of Gary High School (no longer there) and a 1970 SDSU graduate with a major in speech and journalism. 2011 marked Dave's 40th year in broadcasting... all in Watertown. He's a 1994 recipient of the Tom Brokaw Award presented by the University of South Dakota Mass Communications Department and the 2004 South Dakota Broadcasters Association Broadcaster of the Year presented for excellence in news journalism. He has also served on the board of the South Dakota Broadcasters Association and South Dakota Educational Telecommunications Commission. His love of rock and roll dates to back to the 60's and the British invasion....the music was infectious and like so many other young people of that era, he bought his first guitar and amp, convincing three of his high school friends to do the same. Thus... the local small-town garage band "The Chivons" were launched....and yes, the Chivons were a boy band...the name stuck and the band prospered through the mid to late 60's in northeastern South Dakota and Western Minnesota. Dave's love of rock and roll hasn't dimmed to this day. He's still working on radio nostalgia projects to keep the South Dakota music memories alive. Most recently his Watertown radio station, 99.1 KXLG, produced a three hour program that aired on the 4th of July highlighting the midwest bands of the 60's and 70's. The tribute program was a journey through time from the early 60's to the early 70's and featured the music of many long forgotten South Dakota bands who made their music mark.